Divorce & Family Law Attorney | Addison | Dallas | Frisco | Plano - Lapin Law Offices, P.C. Lapin Law Offices endeavors to obtain fair and equitable settlements for all clients. When cases cannot be settled on reasonable terms, we assist clients at trial by endeavoring to obtain by way of judgment all that the client is entitled to under the law. Our work with small businesses makes us especially well-suited to represent family law clients who are self-employed and/or owners of small businesses, as well as clients who must litigate against such persons. 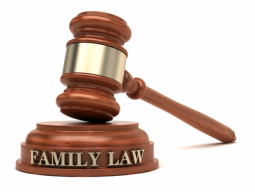 ﻿﻿Flat-Fee Uncontested (Agreed) Family Law cases include those cases where the client and the client’s spouse/other party are in complete agreement on all material legal and factual issues that are relevant to the divorce. Agreed Divorce cases can be handled by telephone and email. * You do not need to come to our law office. * Court filing fees are NOT included. See links below for the list of filing fees. ** Using the Standard Possession Schedule (Parents reside 100 or less miles apart). Lapin Law Offices offers affordable, experienced, and aggressive Divorce & Family Law legal services for clients, and cases, in Addison, Carrollton, Dallas, Frisco, Garland, McKinney, Plano, Richardson, and other cities throughout Collin, Dallas, Denton, Hunt, Kaufman, Rockwall, and Tarrant Counties.